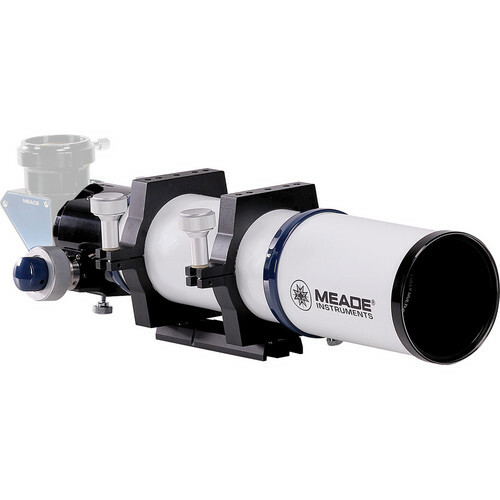 The Series 6000 80mm f/6 ED Triplet APO Refractor Telescope from Meade Instruments features a triplet apochromatic lens system with FPL53 extra-low dispersion (ED) glass and Meade's proprietary fully multi-coated optics. This combination of glass, lenses, and coatings virtually eliminates chromatic and spherical aberrations for clear and bright high-contrast images without distortion across the entire field of view, with true color rendition. 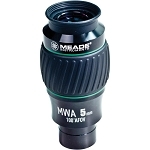 This is a versatile optical tube assembly that can be used to image or observe detailed views of the Moon and planets, plus bright deep-sky objects. 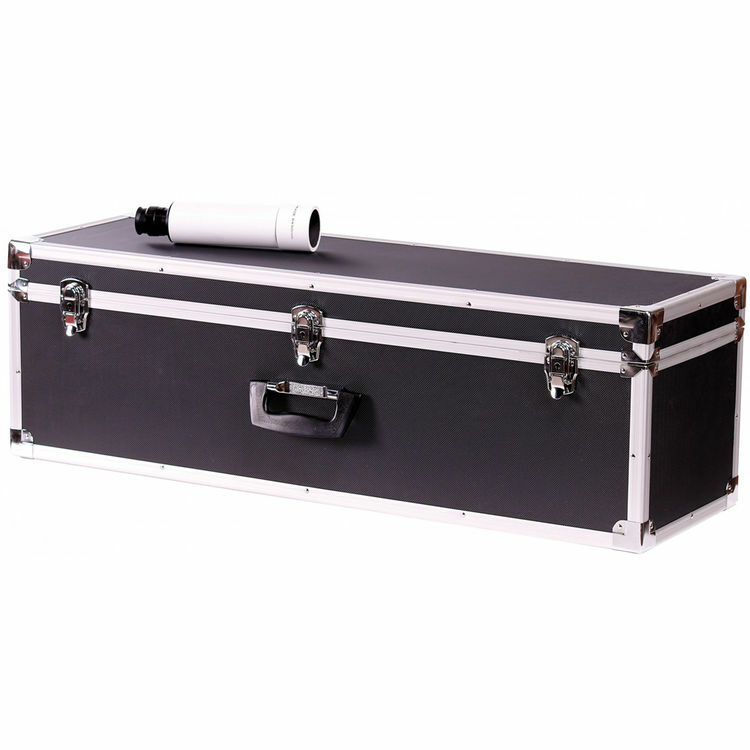 It is also portable enough to be used as a grab-and-go option over larger and heavier scopes; to be set up on a dual-mount rig for astrophotography/astroimaging, or used as a guide-scope on larger rigs. A mounting cradle-ring clamps over the optical tube assembly (OTA) and allows the user to adjust the orientation and position of the scope relative to the mount to optimize viewing comfort and balance, while avoiding interference with other equipment. The scope is offered here without a mount or tripod, but a Vixen-style dovetail plate makes it compatible with any alt-az, EQ, or GoTo mount with a Vixen-style saddle. 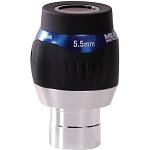 Its two-speed rack-and-pinion focuser helps make fine-focusing fast and precise. The focuser is equipped with an over-sized 2.5" drawtube to transmit enough light to cover today's camera sensors, and to be able to carry heavier loads like DSLRs and imaging rigs without flexing. A 90°-star diagonal is also included for more comfortable viewing. The mirror has dielectric coatings with a 99% light transmission for minimal light loss when using it. Box Dimensions (LxWxH) 22.4 x 13.6 x 11.0"